So, it is getting toward the end of November, on the very cusp of the Holidays. Back in the end of September (while it was warm & sunny ~ unlike now, when we have measurable snow in the weekend forecast), I wrote a blog post talking about making handmade holiday gifts. You can read that post here. This entry was posted in My Thoughts & Opinions, Seasonal, Shopping and tagged Christmas, Gifts, Goals, Handmade, Holiday, holidays, homemade, Tips, To Do List on November 20, 2015 by Tracy. It is a glorious September afternoon. I’m working on my blog post while sitting on my new patio enjoying the beautiful weather. It is warm & sunny with a gentle breeze blowing through the branches of my gi-normous maple tree. I have always loved doing crafts. Making or creating something is a labor of love. I feel like the finished product has a little piece of me in it ♥ However, I have learned (the hard way) that in order for me to love making the gift for someone, I have to allow plenty of time to finish it … not be rushed to get it done in time. • Only choose a handful of recipients, so making the gift remains a joy ~ not become a burden. 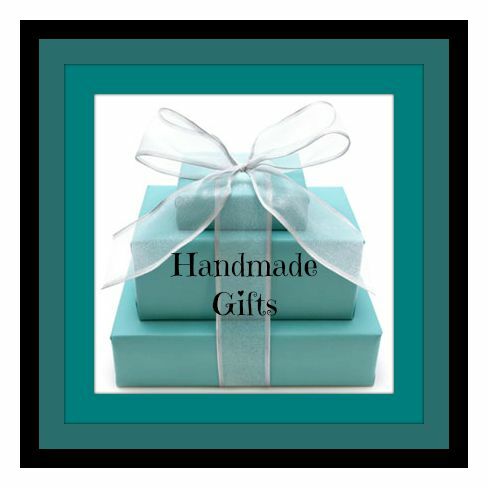 • I can switch up which gift I’m working on, so I don’t get bored … like I can work on my knitting project if I don’t feel like making jewelry. I haven’t decided what I want to make for this year’s gifts yet, but I’m glad I’m starting to think about it early … because, as we all know, times flies by quickly. This entry was posted in My Thoughts & Opinions, Personal Assistant, Seasonal, Tips and tagged Autumn, baking, Christmas, Crafts, friends, Gifts, Handmade, Holiday, homemade, ideas, Memories, organized on September 18, 2015 by Tracy. November 21 ~ Today I am thankful for the gift of creativity. I’ve been blessed with a flair for creating. I love to arrange things so that they are appealing to the eye. Being a slight perfectionist, I don’t like to stop til I’m satisfied that whatever I’m working on will be appealing. I’m older now, but still love doing crafts as a creative outlet. These days I enjoy floral arranging, making jewelry and scrapbooking. I’m part of a card making ministry at my church. 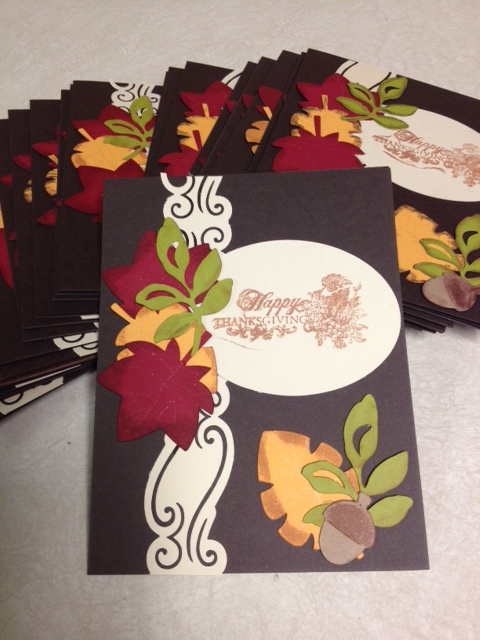 Every month, we send handmade cards to all the seniors in our congregation. It warms my heart when they tell me how much they love them and how thankful they are to receive them. This entry was posted in My Thoughts & Opinions, Personal Assistant, Seasonal and tagged blessed, Christmas, Crafts, Creativity, Handmade, jewelry, November, props, Scrapbooking, Thankful, thanksgiving, theater, Thoughts, today, Tracy Helps You on November 21, 2013 by Tracy.